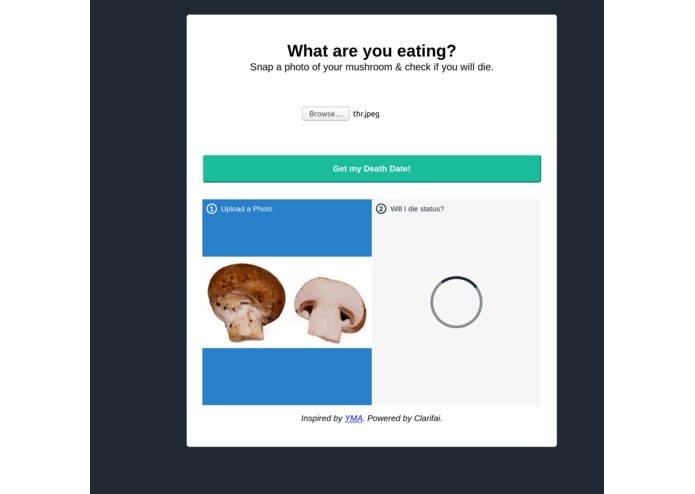 We wanted to build an image recognition system using ML and Clarifai API that is useful and helpful, and detecting the edibility and toxicity of mushrooms is important for people who pick wild mushrooms as a hobby, since it can determine life or death. 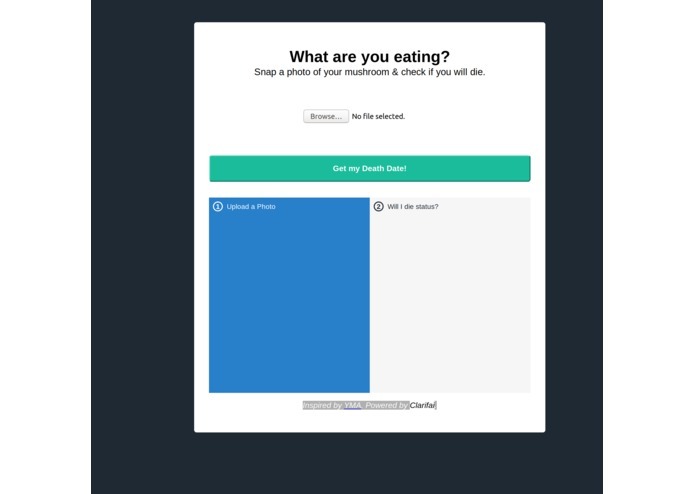 The user uploads a photo of a mushroom found in the wild onto a webpage, and the system will predict whether you will die from eating this type of mushroom based on the predictions of whether it is edible/inedible and poisonous/non-poisonous. We downloaded over 600 photos of different types of mushrooms with edibility and poison labels from http://www.mushroom.world/home/index, and uploaded them using the Clarifai API through Jupyter Notebook to train a machine learning model. We then used the model to predict new photos of mushrooms in Jupyter Notebook, and then built a frontend user interface of the image recognition system for other users. We had difficulties displaying the edibility/poisonous verdict on the webpage due to problems connecting the prediction model to the frontend. 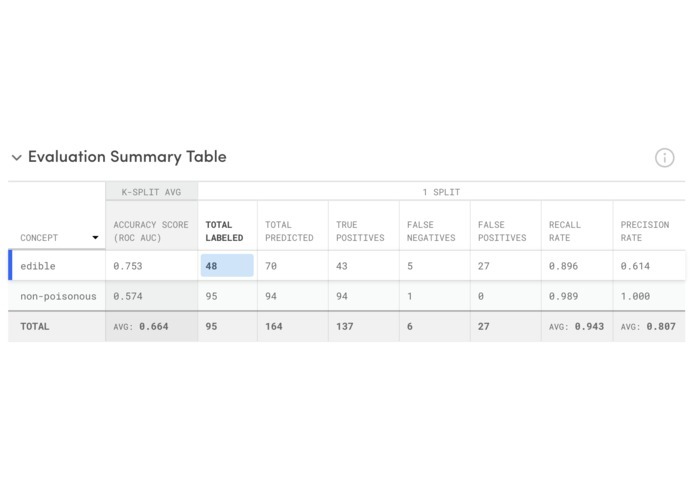 We achieved a 0.75 accuracy score for predicting edibility, and prediction and recall rate were very high. We were able to correctly identify if a random picture depicted an edible/poisonous mushroom or not. Building a prediction model using Clarifai and building a webpage to display the results. What's next for Edible Mushroom Or Not? We only achieved a 0.57 accuracy for predicting if a mushroom is poisonous or not, so we can focus on improving this score. We also want to create a working webpage and app with a nice and easy-to-use UI.